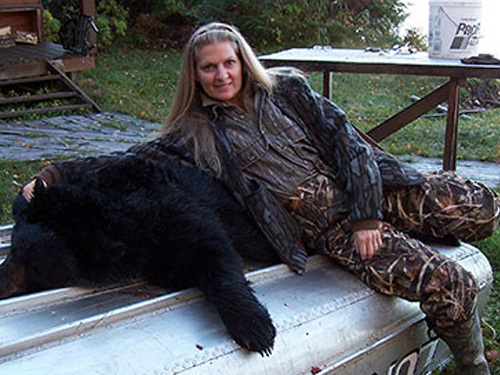 What’s the definition of remote trophy black bear hunting? No roads, for starters, and exclusive acres that ensure you’re hunting animals that have rarely, if ever, been tracked. Wilderness Air Escapes fly-in hunting trips offer unparalleled opportunities in the midst of incredible nature. Northwestern Ontario is the perfect environment for black bears and we have a thriving population ready for you. 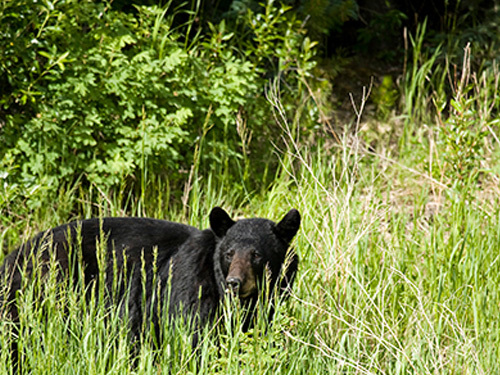 Bow or rifle bear hunts in our own exclusive bear hunting areas. We’ve taken bear hunting to the next level. Choose one of our eleven deluxe outpost cabins for your bow or rifle bear hunts in our own exclusive bear hunting areas. We take care of all the details, from boats to tags, including pre-baited sites and extra bait, so you can focus on your trophy black bear. If you feel the need to switch things up, set your sights on wolf, small game and birds. Don’t forget your rod because the fishing is out of this world! You can count on walleye, northern pike, muskie and lake trout. After a glorious day, kick back and relax in a sauna bath. The living is easy in the remote Canadian wilderness! If you prefer to go it alone, we’re happy to offer some guidance before you head out. For an exceptional experience, consider our seasoned guides, who have honed their knowledge of the area for decades. They will ensure your expedition is successful and help you to leave as little impact as possible on our pristine boreal forest. We are committed to preserving this paradise for future generations. Please research Canada’s hunting rules and regulations prior to booking your bear hunt! Strict protocols include no previous DUIs or felonies for admittance into the country, a previous hunting license from your home state to obtain the same in Ontario, an export permit for game in hand upon arrival, and rifle registration at Canada Customs. Wilderness Air Escapes is committed to safety. Orange jackets or vests and hats are mandatory, and we do not accept hunters under the age of 16 for hunting expeditions.